Most musical sequencers use an array of buttons to control sounds played in 16 or perhaps 32 steps. As seen here, Moscow-based artist Dmitry Morozov (aka ::vtol::) created an installation called “Ivy” wth not 16, but 240! The sequencer is based on an Arduino Mega along with 74HC40967 multiplexers to handle input from the 240 sliders arranged as controls for each step. 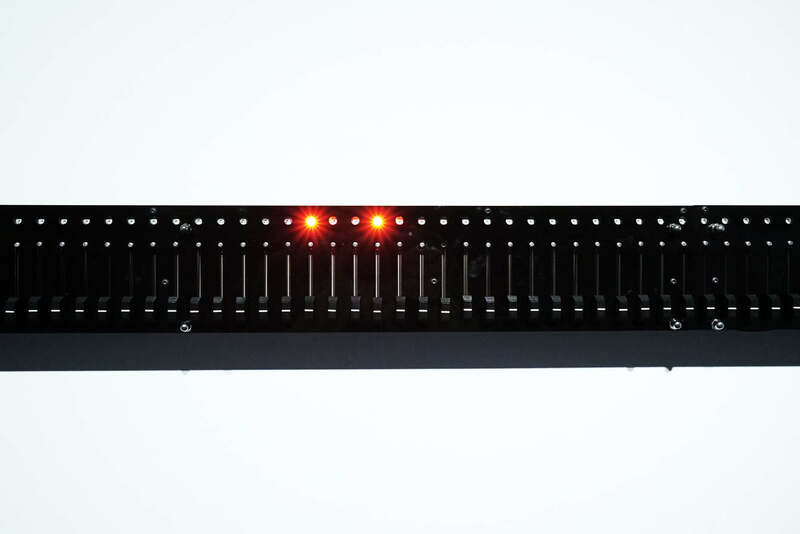 There’s also a bunch of WS2811 LEDs, which are driven by a Teensy board. Ivy stretches five meters in length, and several “voices” represented by dots on the 1-dimensional light array travel both right and left at different speeds simultaneously. This allows it to be programmed in ways that wouldn’t be possible with traditionally-operated musical devices. The project is created specially for Open Codes exhibition in ZKM center, dedicated to codes and programming in art. 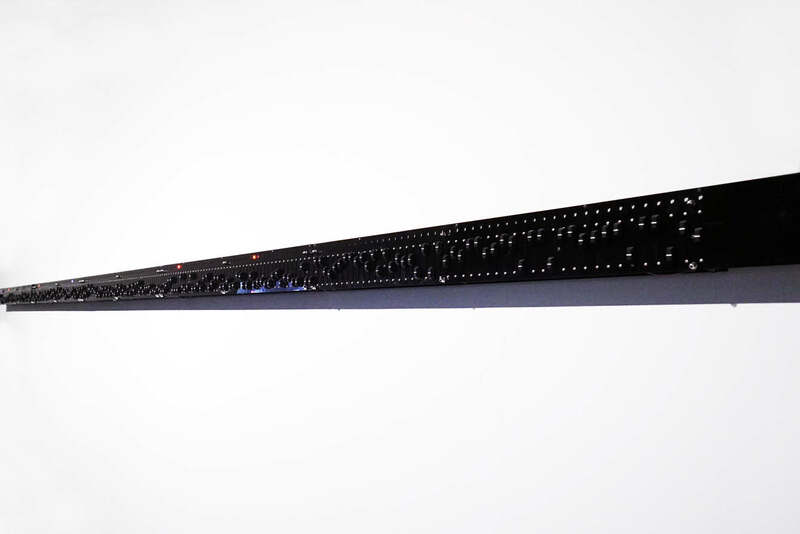 On one side, Ivy is a representation of an archaic method of electronic music programming for analog synthesizers. On the other side – gigantic scale and obsessive multiplication of simple primitive elements turns this project into an art installation, that is referring to the topic of graphic and physical organization of parameters in electronic music. You can read more about ::vtol::’s latest sound installation here, and see it in action below!